Does anyone know if UV Nail drying lamps can be used to dry normal nail polish, or if it is just for Shellac polish? Any recomendations for a decent low price lamp please? How long does it take to dry nail polish? Regular nail polish - It takes one to two hours before nail polish is completely dry. This is especially true if you’ve used base and top coats on your nails. Gel nail polish under a UV drying lamp - The base coat will take 10 seconds then the gel polish and top coat will take a further 2 minutes. Gel nail polish under an LED drying lamp - The base coat will take 10 seconds then the gel polish and top coat will take a further 1 minute. Can you use UV light to dry regular nail polish? No, regular nail polish requires air drying, whereas gel polish contains a polymer that must be 'cured' by a UV or LED lamp for it to become hard. 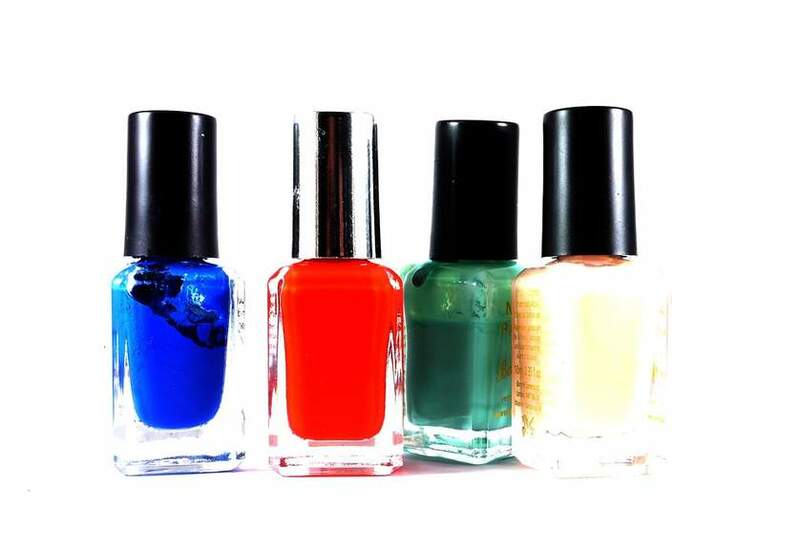 Regular nail polishes can’t be used with UV or LED lamps and it won’t dry any quicker from being put under the lamp. What’s the difference between LED and UV nail drying lamps? The main differences are in the cost (LED are generally more expensive than UV), the length in drying times (LED are usually faster than UV) and the fact that UV bulbs will need replacing from time to time whereas LED lamps will last a whole lot longer. Most gel polish manufacturers sell lamps that are compatible with their products, and you will usually get the best results when using a lamp provided by the manufacturer. The most important thing to check is to make sure the gel polish will cure in your lamp. These days, most gel polish brands will cure in LED or UV lamps, but some may only dry under UV. What makes regular nail polish dry faster? You can buy specialist nail drying sprays to help regular nail polish to dry faster, however there are a few cheaper tricks to try too! Use hairspray. Paint your nails and leave for 1 minute. Hold a can of hairspray around 8 inches away and spray your nails. Leave for another minute and wash your hands gently with cold water to remove the sticky residue. Use ice water. After letting your nails dry for 1 minute, dip your finers into a bold filled with cold water and a few ice cubes. Keep your fingers in the water for 1-2 minutes, when removed your nail varnish will be hard to the touch. Use a hairdryer. After applying your nail varnish put your hairdryer on the coolest, slowest setting and place around 6 inches away from your nails. Blow dry them for around one minute. Can you use regular nail polish with a gel top coat? Yes, you can put a gel top coat over regular nail varnish to make it last longer. Always make sure your nail varnish has dried completely before applying the gel top coat. Be aware that you will need a UV or LED drying lamp to cure the top coat. dont know about the lamps but saw on tv last week a woman fill a sink up with very cold water and put her fingers in for a minute and out came dry smudge free nails.. she used normal nail polish..
Nail Drying Lamps are just another gimmick,when my wife paints my nails i wiggle them around for 40 secounds and thay dry,uv lamps on fleabay cheap and will do the job,but realy blow and wiggle thats what i do. Bowl of water with a couple of ice cubes does the trick. I use the cold setting on my hair dryer for my toes. Is shellac easy to put on? Thanks for your reply, I just took my acrylics off today after wearing them for years and I wanted to try Shellac. Have you heard of or tried Blue Sky shellac? they have it really cheap on Ebay. As far as UV light goes I think you could use it on normal polish because at the salon I went to for my nails everyone whether they had acrylics or their natural nails dried them on the UV light. Thanks for your reply, I just took my acrylics off today after wearing … Thanks for your reply, I just took my acrylics off today after wearing them for years and I wanted to try Shellac. Have you heard of or tried Blue Sky shellac? they have it really cheap on Ebay.As far as UV light goes I think you could use it on normal polish because at the salon I went to for my nails everyone whether they had acrylics or their natural nails dried them on the UV light. Ok, thanks. I think I will invest in a lamp. I don't know anything about Blue Sky(or any of the other makes on ebay, but would be really interested to know if anyone else has tried it. dont know about the lamps but saw on tv last week a woman fill a sink up … dont know about the lamps but saw on tv last week a woman fill a sink up with very cold water and put her fingers in for a minute and out came dry smudge free nails.. she used normal nail polish..